Done correctly, a newsletter can be an excellent investment for your company. Whether you’re using a customer newsletter to boost sales and referrals or an employee newsletter to educate workers and provide recognition, you should definitely expect a payback that offsets the costs of publishing the newsletter. The payback may be easy to quantify, such as an increase in sales. Or it may be more difficult to measure — but equally important — as in a payback of improved employee morale or heightened customer service levels. 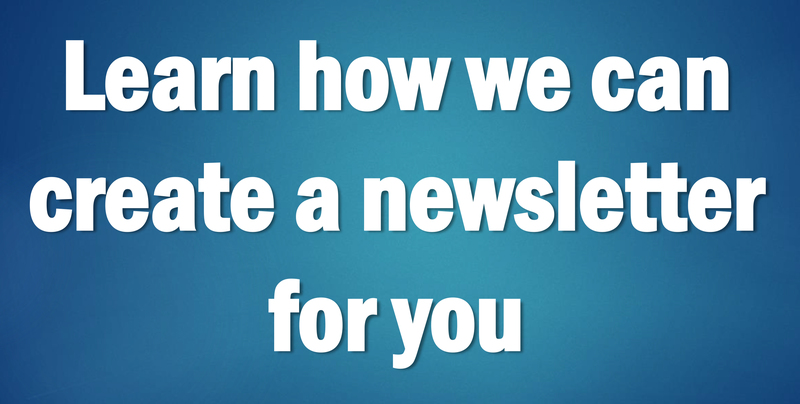 In either case, your newsletter should generate a return on your company’s investment. And the more cost effective your newsletter, the greater the return. Use articles that will generate results. Every article featured in your newsletter should have a specific objective. Avoid using articles that might be fun to read, but don’t accomplish anything. In a customer newsletter, articles might be chosen for their ability to draw-in potential customers, spur sales, encourage repeat business, improve customer confidence in your company, etc.Articles in an employee newsletter might be used to rally workers toward a common goal, provide recognition, improve morale, reduce turnover, etc. All of these types of articles would have a positive impact on your company’s bottom line and provide a payback. Articles that educate readers can reduce your company’s labor costs. Your customer newsletter can help pay for itself by featuring articles designed to answer your readers’ most frequently asked questions. For instance, if a software company sends a monthly newsletter to its clients, it might feature an article in each issue to answer a frequently asked technical question regarding its software. This type of article would educate customers while reducing the number of calls to the company’s technical support department. Of course, fewer calls mean a decrease in the company’s labor and phone expenses. Likewise, a company could offset the costs of publishing an employee newsletter by including articles to educate workers on topics that they have the most questions about. For instance, an article featuring the answers to frequently asked employee questions regarding a company’s new benefits plan would likely reduce the number of calls that the human resources department would have to respond to. Again, the payback here is reduced labor costs. 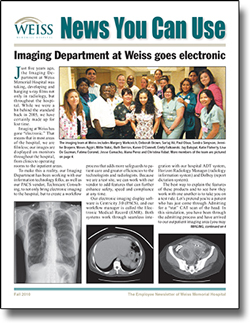 An Internet newsletter can be a low-cost alternative or supplement to a traditional printed newsletter. Consider publishing an online newsletter. 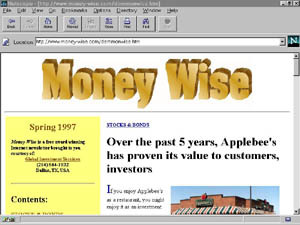 If your readers have widespread access to computers, save printing and postage costs and improve the publication’s timeliness by putting your newsletter online. Customer newsletters should be put on the Internet. Employee publications make ideal material for a company’s internal Intranet. If some of your readers don’t have online access, you’ll probably want to continue publishing a traditional printed newsletter. However, you can make the publication accessible to a much larger worldwide audience — and maximize its exposure — by also publishing it online. Comparatively speaking, it doesn’t cost much more to do an online version, especially since you’ll be reusing the content from your original printed newsletter. For short print runs, take advantage of quantity discounts by preprinting a year’s supply of newsletter “shells.” Because they can be both eye-catching and economical, two-ink (black plus an accent color) newsletters are extremely popular. However, when the print run is less than 2,000, a large portion of the newsletter’s printing cost is incurred from setup charges – preparing the press with the proper inks and plates. Because of these fixed costs, the per-copy printing price goes down dramatically as your quantity increases.To take advantage of these quantity discounts even though you have a short print run, try this: Design your newsletter so your accent color elements (for example, the nameplate, rules, page numbers, shaded boxes, etc.) stay the same from issue to issue. The color scheme should be devised so only the things that change from issue to issue are the black elements: headlines, article text, photos, etc.Have the accent color preprinted by itself on a one-year supply of paper. (Get it shrink-wrapped, though, because exposure to humidity over an extended time will make it unusable.) Then, when it’s time to print each issue, take the preprinted color “shells” to the printer and have the black elements imprinted onto them. Use either an economical one-color press or, even less expensive, a high-speed, high-resolution commercial laser printer that many printshops now have. Bigger isn’t necessarily better. A four page, 8.5 by 11 inch newsletter is by far the most popular format for a company newsletter. However, many companies – especially small businesses with limited products and services – may not need that much space for their newsletter. You can tell that a company has too big of a newsletter format when its contents include a lot of generic “filler” items that are unrelated to the publication’s theme. Commonly used fillers include recipes, famous quotations, “This Day in History” articles, etc. Instead of running these space-wasting filler items, save on printing costs by removing them and using smaller or fewer pages. Small newsletters – even as little as a page or two – can be just as effective and impactful as their larger counterparts. Reduce postage by sending your newsletter out as a bill insert. You can save substantially on postage if you include your newsletter with some other mailing. For instance, if you have a newsletter that goes out to your existing customers, include the newsletter with the monthly billing statements that you regularly send to these customers. Of course, you’ll want to design your newsletter and have it folded so it will fit inside your billing envelopes. If you’re mailing the newsletter by itself, save on postage, labor and envelope costs by making it a self-mailer. Instead of having an employee go through the tedious task of stuffing your newsletters into envelopes, adding address labels, applying postage and mailing them, preprint a mailing panel (including your postage permit number where the stamp goes) on the last page of your newsletter. Then, after the newsletters are printed, all your employees have to do is apply the mailing labels and send the newsletters off. Also, you may get a better postal rate if you have your newsletter folded to a smaller size. And to save on postage, consider sending out your newsletter bulk rate. It may take a few extra days to get there, but the savings can be substantial.